After School & Weekend Tech Activities for Kids To Do in Westchester at The DAE in White Plains in 3D Printing, Coding, Design, LEGO, Minecraft, Video and more! Looking for something for your kids that is both fun and educational? The Digital Arts Experience is now enrolling for STEM programs for your kids for Fall 2016. After school classes run on Tuesday, Wednesday and Thursday as well as both Saturday and Sunday. Classes meet once a week, for 6 weeks. Topics include, but are not limited to: 3D Printing, Coding, Design, LEGO Stop Motion, Minecraft Animation, Video and more. The DAE’s classes are small, hands-on and project based. That means the instructor to student ratio is small while each student gets their own computer to work on for the duration of the program. Simon Cadel is a one-of-a-kind kid. At the young age of thirteen, he has already begun his standup comedy career and worked hard to support a local nonprofit. Family Services of Westchester (FSW) is a private nonprofit agency in Westchester that offers social and mental health services for children, teens, adults and senior citizens in order to provide as much support for them as possible. Such programs include teen leadership programs, Big Brothers, Big Sisters, and HeadStart, just to name a few. Simon recently organized a comedy show, “Laugh Til It Helps,” at The Digital Arts Experience with his fellow young comedian friends to raise money for FSW and further their cause. The show was a great success and brought in $1,000 for FSW. Furthermore, it had been a dream of Simon’s to hold a comedy show to benefit a charity; to have that sort of ambition and thoughtfulness at 13 years old makes him stand apart from his peers. His knack for comedy is just the extra step that makes him such an outstanding kid. Simon’s been classified not as a kid comedian, as the Digital Family Summit notes, “he’s a comedian who happens to be a kid.” Basically, he’s young for most comedians, but his delivery, presence and sense of humor show that he’s quick, witty and far more clever than the typical teen. He began studying comedy two years ago, attending camps, the Kids ‘N Comedy classes at the Gotham Comedy Club, and after-school programs. Simon performed at showcases, videos of which circulated on YouTube and got the attention of comedy clubs like The Comic Strip Live and New York Comedy Club. Both clubs booked him for primetime weekend shows, despite the fact that otherwise, his age would not allow him to go inside! “I’m way too young to be here,” Simon had said when he first walked onstage at The Comic Strip Live. Maybe, but he’s also way too clever to be missed. The DAE is proud and excited to see our student exhibiting such skill and creativity in his performances. We’ve even had the pleasure of having him do standup at The DAE’s first Open Mic in August, where his confidence and talent allowed him to shine and be completely unfazed by the audience. Simon is currently enrolled in our brand-new class, Game Programming with Java, which excites us to welcome him into The DAE community. Therefore, we’re more than happy to support his efforts in raising money for FSW or calling attention to important causes. This Saturday, he’ll be participating in another great comedy night, Standup For Peace, which aims to bring comedy and matters of political importance together to open up the conversation. Standup For Peace is a show put on by the well-known political comedians, Scott Blakeman and Dean Obeidallah, to unite all ethnic/religious backgrounds in support of peace in the Middle East and worldwide. Blakeman and Obeidallah have used their comedic talent to promote tolerance and peace at this critically acclaimed show for the past ten years. Now, Simon will be opening up for these big name comedians in order to show his support for the cause and it promises to be a hilarious night that you won’t want to miss. Standup For Peace is coming to The Purple Crayon in Hastings-on-Hudson, NY this Saturday, October 19th from 8pm-10pm. (Tickets can be purchased for $20 here.) We hope you will go out and support our student comedian and his great causes, see for yourself how great of a show he puts on! This past weekend, Simon and his blogger mom Betsy spoke at the 2013 Digital Family Summit on Kid Fame: Right for Your Kid? Or You?. In November, Simon will be auditioning for America’s Got Talent and performing at Gotham Comedy Club, so keep an eye out for him! Simon’s YouTube page can be found at www.youtube.com/simoncadel, check it out! Hey Westchester! Summer is fast approaching. It officially begins in the Northern Hemisphere on June 21, 2013, at 1:04 A.M EDT, to be exact. At around the same time, The Digital Arts Experience (The DAE) in White Plains, NY will be busily preparing to begin its summer camps for kids and teens that start the second week of July. Although their camps will run Monday through Friday from 9:00AM – 4:00PM, The DAE wanted to provide alternate options for weekend classes. Starting the day after the summer solstice, The DAE will begin an 8-week Saturday 3D Animation class for teens ages 16-20. The class, entitled “Intro to 3D Animation using Blender” will give teens the opportunity to explore the open source program Blender, and learn how to create their own stunning 3D characters and animations. The DAE’s very own Animation instructor, Nicholas Sceusa, was recently interviewed by Phil Shapiro, educator and open source software enthusiast via opensouce.com. In the interview, Nick discusses his use of Blender at The Digital Arts Experience in Westchester, and how he teaches it to high school students. To view the blog entry, please follow the link: Teaching the open source creative tool, Blender, to high school students. The Digital Arts Experience’s classes are small, 100% hands on and focus on collaboration so your teen will develop social, technical and creative skills for the present and for the future. The classes are held at a max of 6 students so that everyone gets the personal, individualized attention they deserve. Everyone also gets their own 21.5” iMac computer to work on throughout the class, to enable them to work with the most up to date digital arts tools and technologies. To sign up today, please refer to the teen program application form. As for the Summer Camps at The DAE, kids & teens can choose their area of interest in either: Animation, Graphic Design, Moviemaking, Photography and Web Design. These 2-week programs are all project based, so everyone will leave with completed projects and work to show for a portfolio. To view the summer camp application, please refer to this link. The Digital Arts Experience (The DAE) is a community focused learning & production facility located in downtown White Plains that teaches courses for kids, teens and adults in Animation, Graphic Design, Moviemaking, Photography, Web Design, Blogging, computer/smart phone basics and more. In addition to teaching classes, The DAE also offers creative and design services to help your business grow. With their in-house professional photography/video studio, fully equipped recording studio, 4 computer labs with all of the latest professional software and industry active staff, The DAE prides itself on being not only a resource for the community, but a productive place you can go to meet other like-minded individuals who share your interests. Stop by at any time for a tour of its brand new, state-of-the-art 8,000 sq. ft facility, or feel free to call 914-644-8100, e-mail info@thedae.com, or visit www.TheDAE.com for more information! Learn how to design a fully functional website that you create! 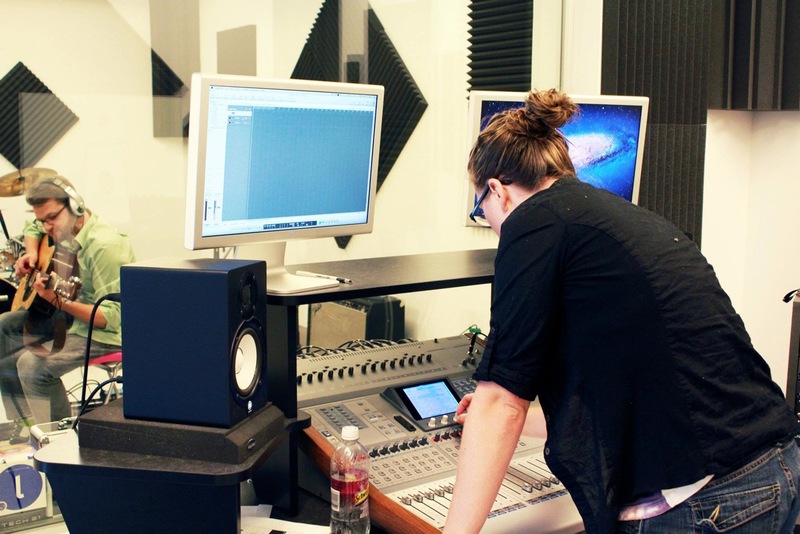 Learn to record music like the pros and have access to our fully equipped recording studio! Students learned Java to change code in Minecraft! These students filmed an infomercial as their video project! You are familiar with the idea of using Dropbox, but did you know that it has the ability to host a website? Watch our second installment of #AskTheDAE where Rob Kissner goes through this little known, but highly useful, process! 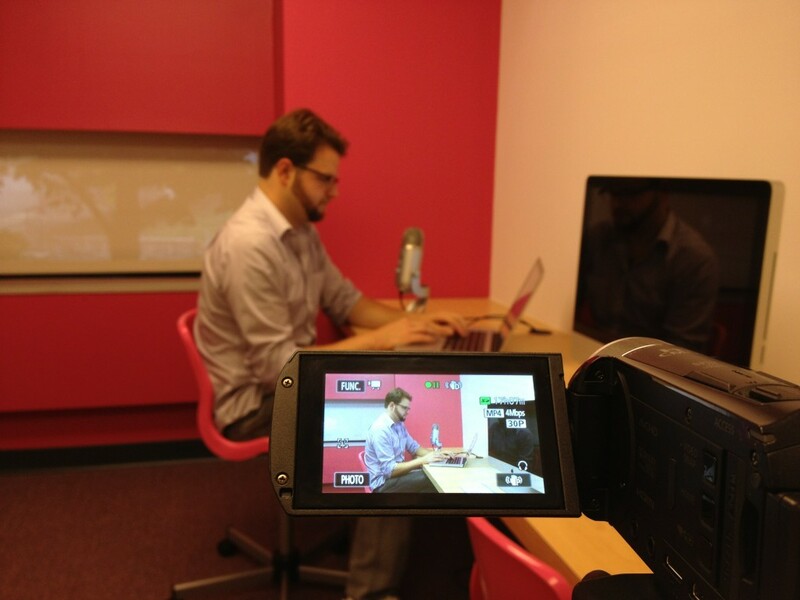 And remember to tweet #AskTheDAE for questions, comments, or suggestions for next week’s screencast.